Governor Baker will argue that the shortfall is primarily the result of the state spending too much. Before Deval Patrick departed earlier this month, he gave Charlie Baker, his gubernatorial successor, traditional gifts, including a pewter key, a gavel, and a 19th-century Bible. He left a Massachusetts economy that is, by many measures, humming along. But Patrick also left Baker something more pernicious: a midyear budget gap the new governor pegged Tuesday at $765 million. The announcement raises the specter of painful cuts to services and begins in earnest the first true challenge of the Republican’s tenure: how to quickly bridge the fiscal chasm. Baker argued that the shortfall is primarily the result of the state’s spending too much and underscored the importance of fixing it quickly. Advocacy groups on both sides of the political spectrum said the estimate was potentially in range. “This problem needs to be addressed, and it needs to be addressed now,” Baker said at a State House news conference. The governor did not outline any budget reductions, but given his pledge not to raise taxes or fees, nor to draw down the state’s “rainy day” fund, addressing it will almost certainly mean making cuts, specialists said. 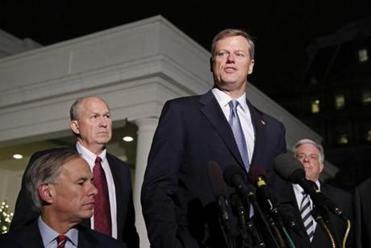 “I think if you rule out everything else, there have to be cuts,” said Noah Berger, president of the liberal-leaning Massachusetts Budget and Policy Center, as he bemoaned how much many items in the state budget have already been reduced over the years. That prospect has left some advocates on edge. “Community groups, social services agencies, and unions are bracing for possible cuts to programs so many need and care about,” said Lewis Finfer, a longtime advocate on Beacon Hill and director of the Massachusetts Communities Action Network. “There’s some level of anxiety related to a number that large,” said Michael Weekes, president and chief executive of the Massachusetts Council of Human Service Providers, which represents health and human service agencies in the state. Weekes added he wanted see specifics from the administration before commenting further. They will need to move quickly. Because the state’s fiscal year ends in June, each day that goes by means that any potential cuts will have to be spread over a shorter period of time, which could increase how painful they are for the agencies affected and the people they serve. The top two legislative leaders, both Democrats, said Tuesday they will work with the GOP governor on bridging the gap. Contributing to the problem, according to the administration: higher than anticipated government employee and retiree health care costs, more cases at the Department of Children and Families, a greater need for public defenders, and more homeless families needing shelter than were budgeted for. Bagley, one of the budget specialists, said those accounts are often underfunded each year, so it did not surprise him that there are shortfalls in those areas. Overly optimistic predictions for some types of revenue, such as fees and fines, are another piece of the puzzle, according to Baker and his aides. But Medicaid costs, including fallout from Massachusetts’ bungled health insurance website, are the most significant part of the spending side of the deficit, the administration found. That spending includes paying for health care of people newly enrolled in Medicaid, who had previously been in a temporary Medicaid program instituted after the state’s health insurance website failed, the administration said. The temporary program was instituted to make sure people would not lose coverage after the website — for people who do not get insurance through their employer — did not function. It was never able to determine whether people were eligible for assistance, and more than 300,000 people were placed in the temporary program. The failure came after the site was changed in 2013 to comply with the federal health care overhaul. Baker beat Attorney General Martha Coakley, a Democrat, and three independent candidates in the November gubernatorial race. After the election, the Patrick administration announced a shortfall it pegged at $329 million. It pressed for legislative action, which did not occur, and put some unilateral cuts and savings into place. According to the Baker administration, those actions solved $252 million of the gap, leaving a $765 million problem to figure out. In December, the Taxpayers Foundation estimated a budget gap almost identical in size to the one outlined by the Baker administration Tuesday. The Patrick administration vociferously disputed the outside group’s estimate both in December and on Patrick’s last full day in office. 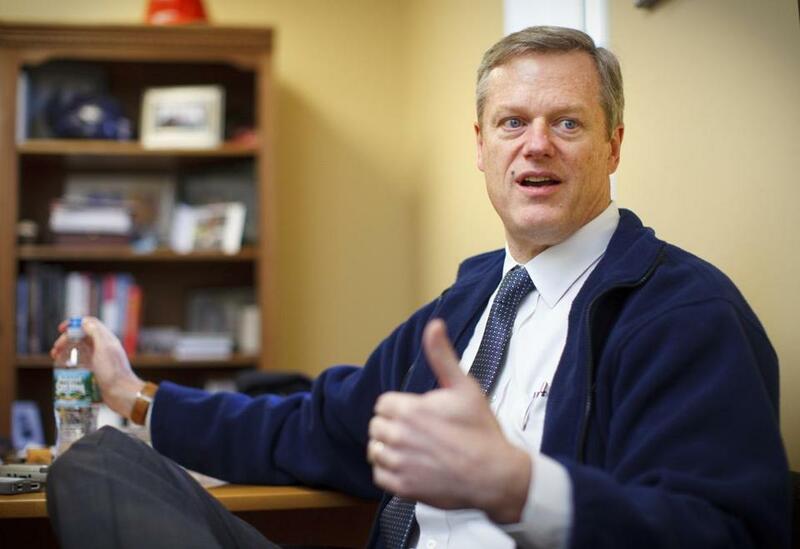 On Tuesday, Baker never directly took aim at his predecessor for the gap in the more than $36 billion state budget. And, in an earlier interview, neither did his budget chief, Secretary of the Executive Office for Administration and Finance Kristen Lepore. Will they be able to do it?